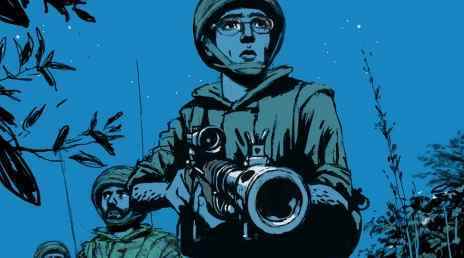 A new online journal, the International Journal of Film and Media Arts, launched this year with a special issue dedicated to animated documentary. The articles in Vol 1 can be viewed online, and offer some valuable insights into the field. They include Drawing the Unspeakable – Understanding ‘the other’ through narrative empathy in animated documentary, by Jan Nåls. Nåls uses A Kosovo Fairytale (2009), an educational film project for which he acted as a supervisor, as a case study to explore how the use of combined animation and live action can encourage empathy for a documentary’s subject. The film tells the story of a family who were forced to leave their youngest child in Kosovo, seeking safety as refugees in Finland. In the article Nåls discusses documentary within the historically ethically problematic field of ethnography, noting that “documentary representation is fundamentally informed by the challenges of inter- and multi-cultural encounters since it always entails a dialogue between a film-maker and a subject that exists in the world outside of the narrative – a person, a community or a culture.” He views animated documentary as a valuable tool within contemporary ethnography, which can be used to bring breadth and depth to representation of ‘the other’. A Kosovo Fairytale was made by five exchange students from Africa and Europe. It combines roughly-made animation with live action footage of a Skype call. The lo-fi look of both the animated and live action sections means that the film’s aesthetic is consistent throughout. Nåls notes that although animation is traditionally an expensive and time-consuming process, it is possible to produce a film such as A Kosovo Fairytale on a very low budget and in a very limited timescale (the film was made in less that three months), and for the film to still be successful and well received in some exhibition contexts. In a tradition familiar to animated documentary and famously used by Tim Webb in his groundbreaking A is for Autism (1992), the characters in A Kosovo Fairytale are presented as figures hand-drawn by the real life subjects, and this integration of the participatory self-portrait helps to justify the rough-around-the-edges aesthetic style. Nåls mentions the “unique quality of animated non-fiction as a medium to represent traumatic events”, which has also been written about in detail by scholars such as Annabelle Honess Roe. 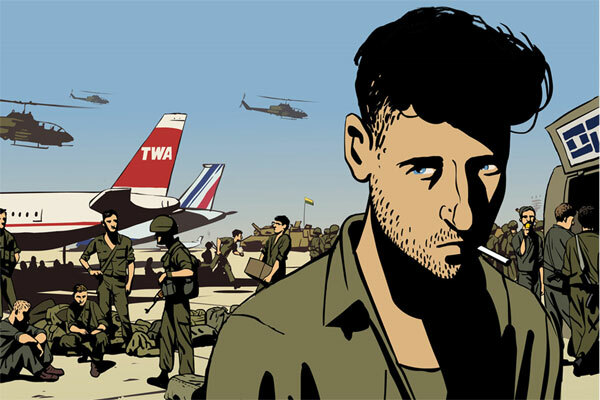 He believes that the juxtaposition of live action and animation can be particularly effective in evoking traumatic experience, a technique also used to great effect in the final scene of Waltz with Bashir. While many of the concepts put forward in Nåls’ essay have been discussed in existing scholarship, his use of A Kosovo Fairytale as a case study provides a useful lens through which to explore the ideas in practical terms. His thoughtful exposure of the nuts and bolts of the production process behind the film adds an extra layer of meaning to the viewing of it. A Kosovo Fairytale from Anna-Sofia Nylund on Vimeo. Vol 1 No 1 of the International Journal of Film and Media Arts also includes work by Paul Ward, Annabelle Honess Roe, Filipe Costa Luz, Pedro Serrazina and M. Alexandra Abreu Lima.